So You’re Considering a RC Fishing Boat. Consider the “LuckyStrike” RC Fishing Boat! INCLUDES “THE RC FISHING POLE”, BATTERIES, CHARGER, FISHING LINE, BOBBER, HOOK, YOU JUST NEED WORMS! There’s no question now why Remote Control Fishing Boats have recently become very popular with kids and adults. Now for the first time there are sporty new products available like “LuckyStrike” for even the youngest fishermen or the expert anglers. Whether you’re 9 or 99, if you ever messed with a remote control toy then you can see why this has to be the greatest little gadget for catching fish! 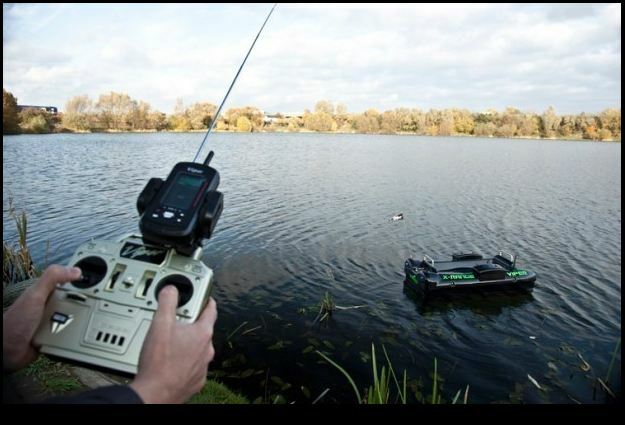 Why not use a remote control boat for fishing? Kids have a blast driving it around the dock with the line attached to the boat, (no fishing pole required) and pulling in the fish with “LuckyStrike”!